HKS Universal Stainless Hi-Power Ti Muffler UNIVERSAL - MiataRoadster - Stay tuned with MiataRoadster! The universal HKS HiPower Ti muffler assemblies are the same high-quality units used in the HKS bolt-on exhaust systems. The 170mm HiPower Ti muffler shell design is available in 75mm piping diameter. 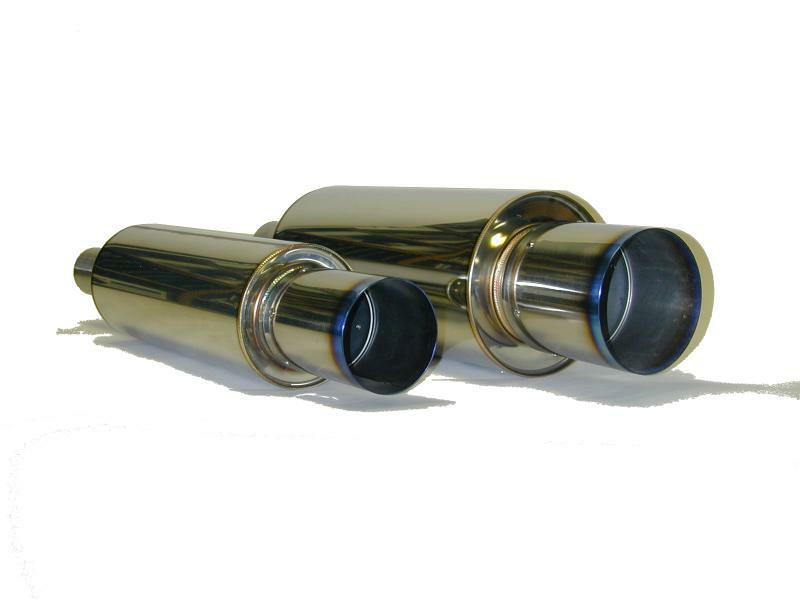 The 130mm HiPower Ti muffler shell design is available in 60mm piping diameter for use with custom exhaust applications.